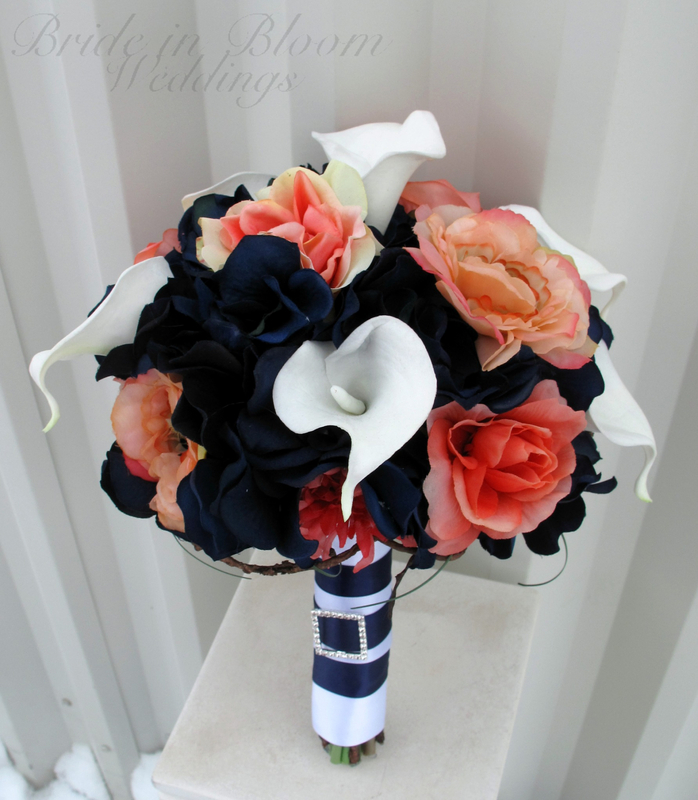 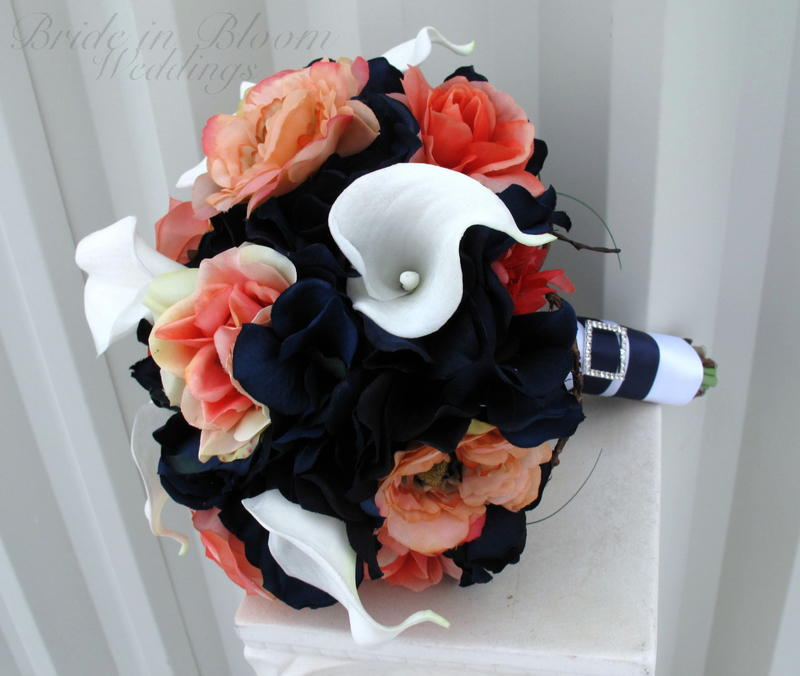 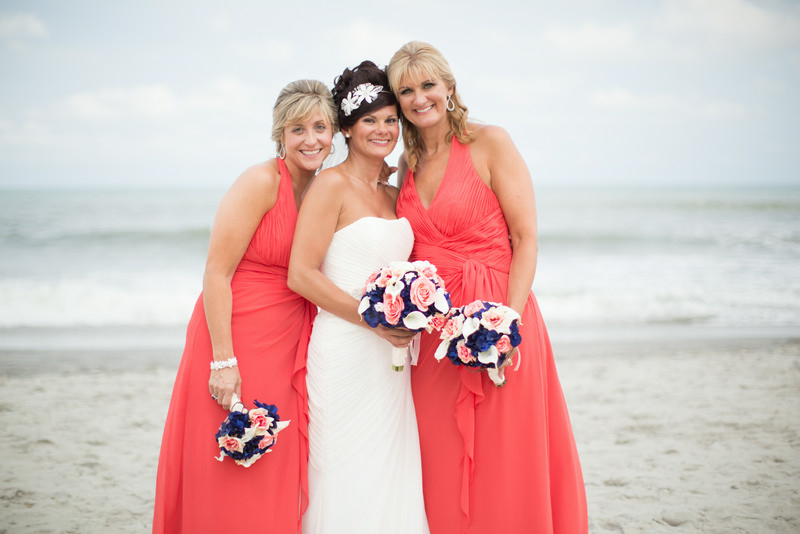 The coral wedding bouquet of class & elegance. 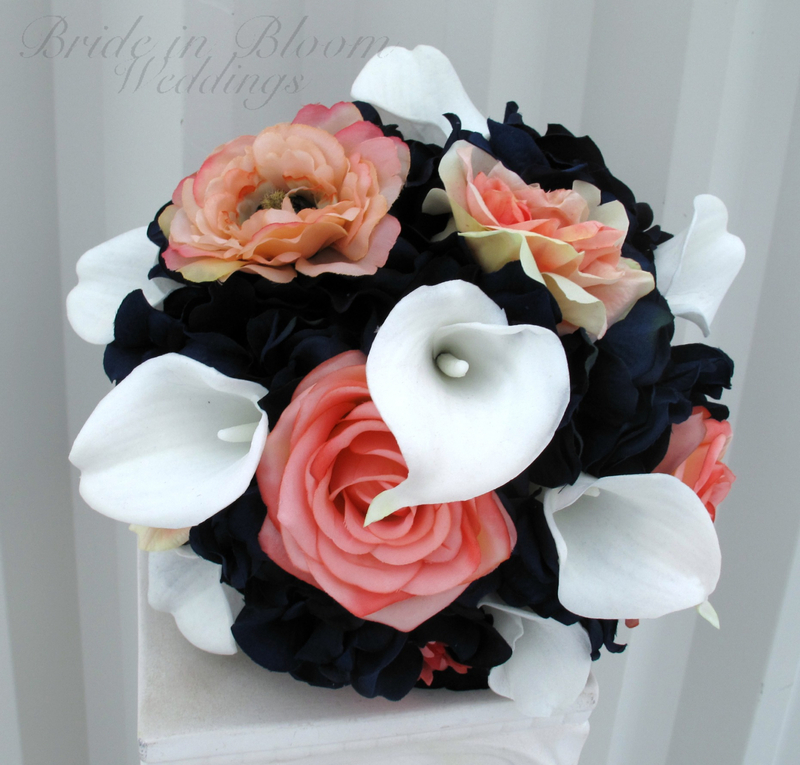 Real touch creamy white calla lilies, they look and feel so real, you are sure to love them, with pretty silk cabbage roses, ranunculus, cosmos, navy hydrangea, framed with curly willow loops. 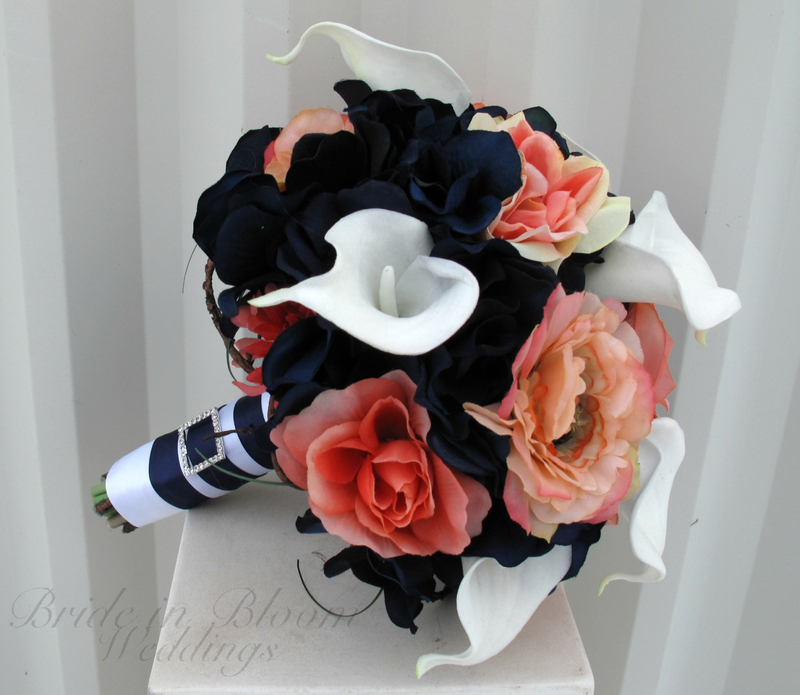 Handle treatment is wrapped with ivory or white & navy satin ribbon, completed with a sparkling rhinestone buckle.